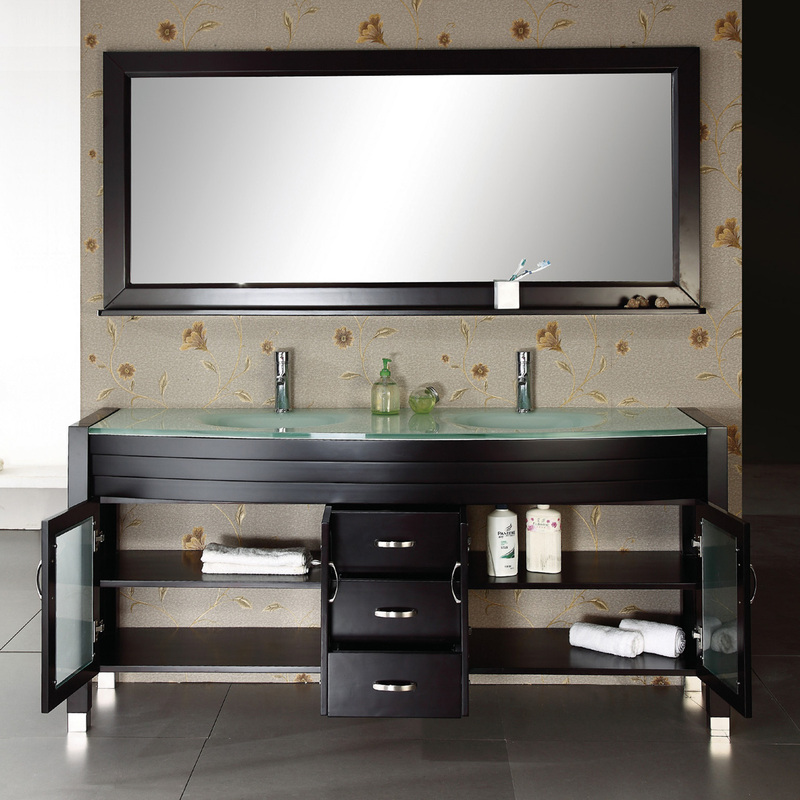 With double the style, double the sophistication, the 63" Avaline Double Vanity is a spectacular vanity that is designed to give you a look that will dazzle. 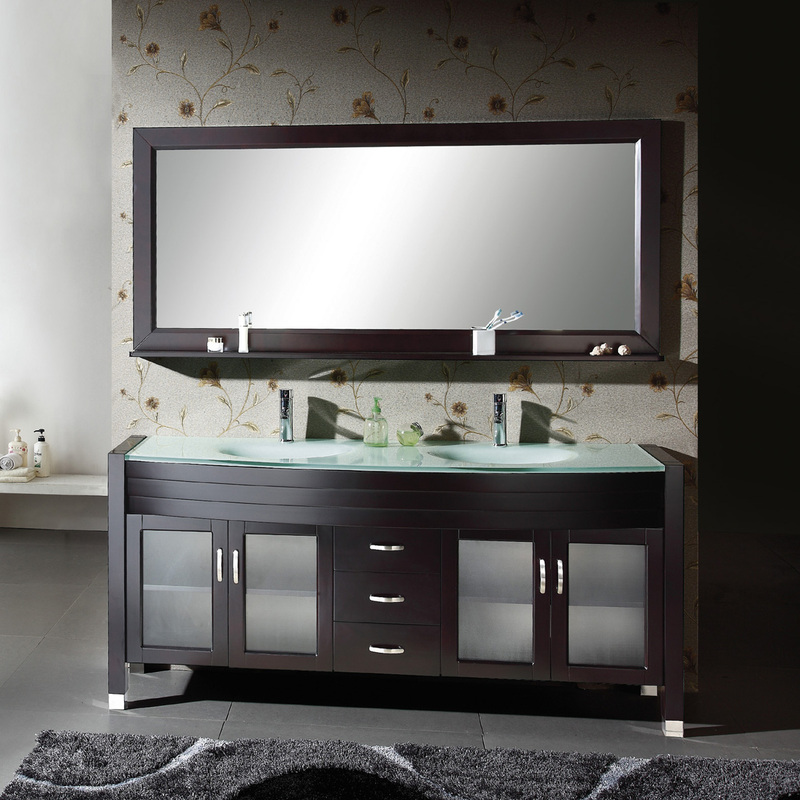 featuring a solid oak wood cabinet finished in a deep Espresso with a water resistant sealant, the Avaline Vanity will look gorgeous for years to come. 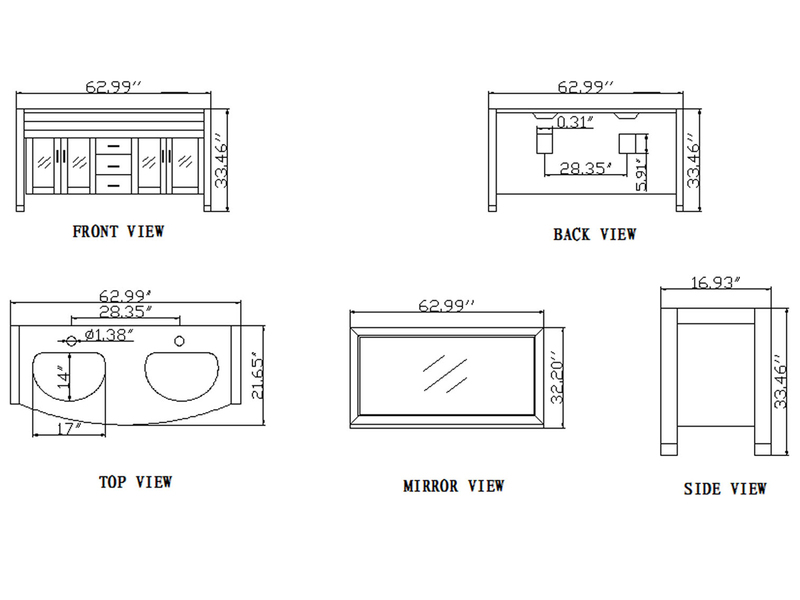 The soft-closing hinges and glides on its 2 double-door cabinets and 3 storage drawers ensures the sound of a slammed door will never come from the Avaline. 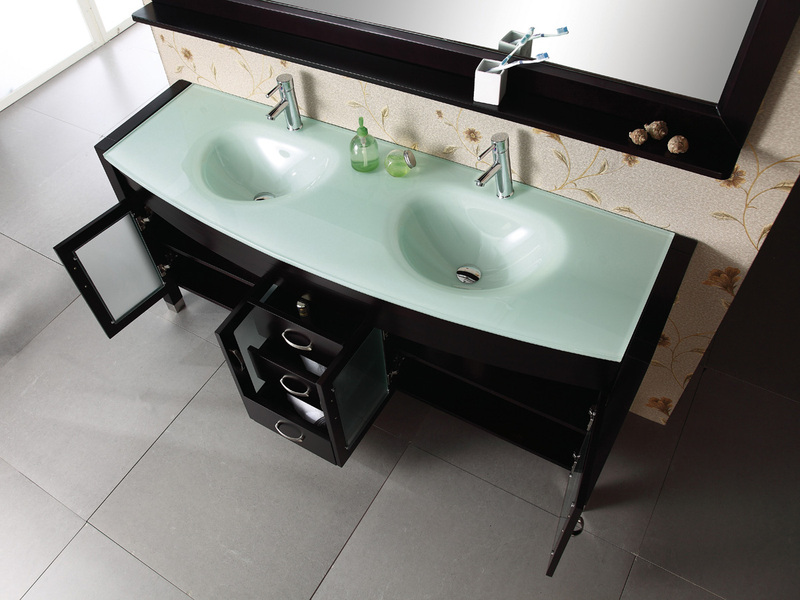 It is complemented with a beautiful tempered glass integrated sink top and is matched with a mirror for a complete look!